Meanwhile, the magazine Dream of Italy is one of the best resources on Italy out there. Each month, the print publication features articles on Italy’s best destinations, experiences, and food. It’s great inspiration for anyone either traveling to Italy… or who has been, and loved it. Right now, there’s a great holiday gift package for Dream of Italy, which includes a subscription, online access to 100 back issues, a photo desktop calendar, and more. 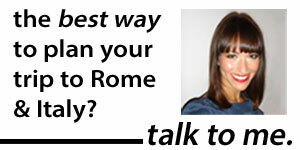 Know your gift recipient is coming to Rome? 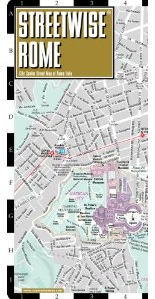 For a super-comprehensive amount of information, arm them with Fodor’s Rome 2012 (the bulk of which, by the way, just so happens to have been updated by yours truly!). Make sure they eat well with Katie Parla’s Rome for Foodies app, which includes 150 top foodie venues in the city. 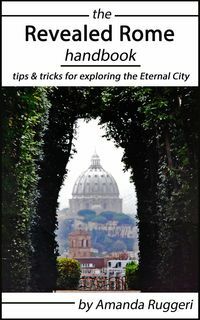 And give them the gift of discovering Rome like a local! 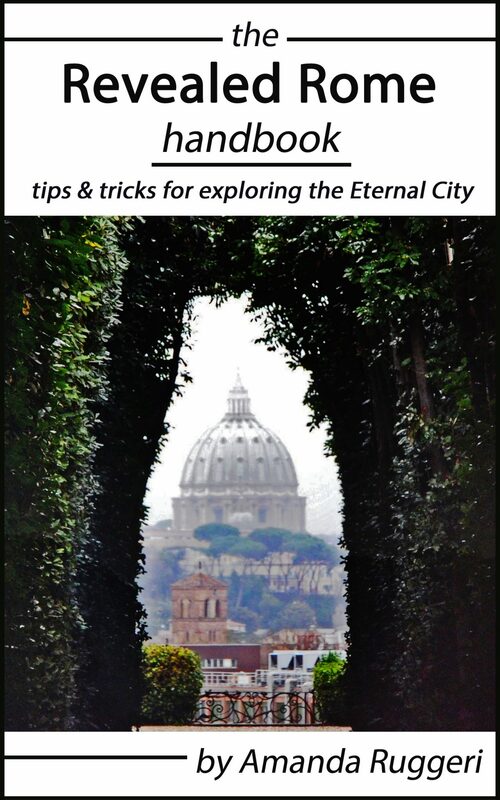 My brand-new e-book, The Revealed Rome Handbook: Tips and Tricks for Exploring the Eternal City, is now out, and it’s chock-full of advice from creative budget accommodation options to protecting against pickpocketing to how to skip the lines at the Colosseum and the Vatican. Finally, if you really want to go a step beyond with your gift-giving, give your Italy-bound loved one a one-hour travel chat where they can pick my brain and get all of their questions about travel in Italy answered! Rosetta Stone is generally considered one of the best ways to learn a foreign language without attending a university course. Give the gift of learning Italian through immersion with Rosetta Stone Italian for beginners. If your Italian-bound loved one spends a lot of time in the car, give an audio-course like the one from the classic, and well-reviewed, Pimsleur Language Programs—it’s all CDs, so no books (or feeling like you’re back in school!). And for learning the basics to get around Italy, Rick Steves’ Italian Phrase Book and Dictionary is a great call, filled with useful and funny phrases like “Is this included with the meal?”, “My ATM card has been eaten by the machine” and (my favorite) “You are my most beautiful souvenir”. 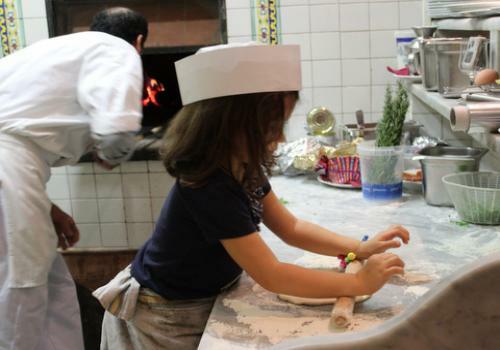 Give the gift of a pizza-making class, and food tour, in Rome! I’m a huge fan of (and a previous freelance writer for!) Walks of Italy, which specializes in small-group, creative experiences across Italy. Some experiences that would be super gifts to an Italy-bound traveler include the pasta-making class with a chef in Rome, Rome food tour with pizza-making class (an especially great gift for families! ), or the Pristine Sistine early entrance tour of the Vatican, which gets you into the Sistine Chapel before the crowds arrive. Other great Rome gifts: a tailor-made, private tour with independent guide Agnes Crawford, who does tours of Rome’s historic and cultural sites; she has gift certificates available, too! A wine tasting with Vino Roma, whose wine-tasting studio is just a few steps from the forum, is a great idea for Rome-bound wine-lovers. In Rome, another fun experience (and gift!) is the food tour by Eating Italy Food Tours, which includes lots of tastings and a pasta lunch. The “big stuff” aside, there are some smaller things any traveler to Italy will want to take with them. For those a little concerned about safety (and pickpocketing) in Italy, a money belt like this one is a thoughtful gift. (Maybe cushion it with a printout of my blog post on pickpocketing so the recipient knows how concerned they need to be!). I brought my Streetwise Rome Map with me when I moved here more than three years ago, and I still have it (in one piece!). It folds to be pocket-sized, but is laminated so it’s nice and durable (and will survive a little prosecco sloshing…). And one of those annoying things you can’t have too many of, a U.S.-to-Italy adaptor is a useful (if boring) stocking stuffer. Just don’t forget that it’s not a power convertor; this is! 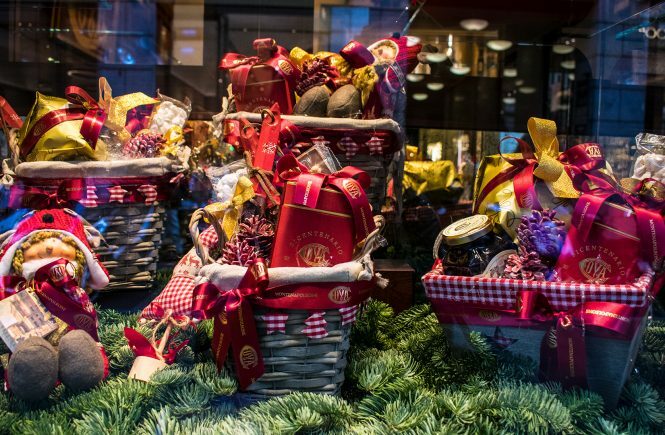 Don’t miss my previous gift guides, including the best Italian food gifts, gifts from Italian artisans that can ship abroad, gifts for culture vultures and art lovers, and gifts that help fight the Mafia (really! ).